In this issue: Around the world with craft beer, a life of birdwatching, and 10 years of award-winning travel writing stories. 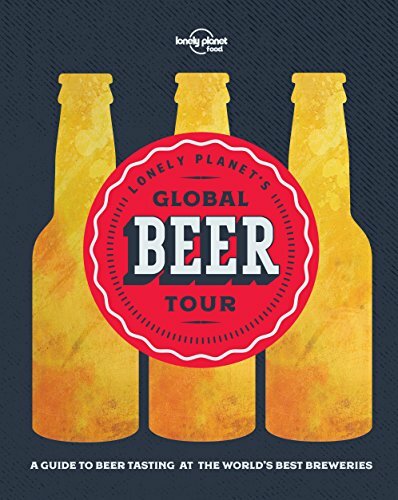 Global Beer Tour is a guide to small craft breweries, those artisanal, local enterprises which have gained much popularity in recent years. As is the case with similar world guides—wine, street food, street art—things are arranged by geographic areas, in this case, Africa, the Americas, Asia, Europe, and Oceania. Sub-chapters are broken down by country, and within those subdivisions, individual breweries are given capsule descriptions. Included in the book’s introduction are a brief description of the beer-making process (malt, water, hops, and yeast are the four essentials) and a glossary of beer terms (words like ale, pale ale, India Pale Ale, stout, Pilsner, bitter, porter, lager, and so on). There are handsome color photographs on nearly every page, images of towns and landscapes, with numerous shots of the breweries themselves, also pubs, bars, people, and, of course, many photos of bottles and glasses of beer. Claiming to be the oldest licensed brewery in Britain is quite a statement, but in the case of Shropshire’s Three Tuns, it has the paperwork to prove it. The Three Tuns Brewery was granted the first official brewing license in British history in 1642, and the brewers are still working their magic in the same timber-framed premises, albeit with some Victorian-era modifications. Each brewery listing includes a sidebar called “Things to Do Nearby.” This is a common bit of layout design for guides of this type, and Global Beer Tour contains dozens of such destinations—both obscure and well known. In fact, I found myself page-marking a few of the suggested sites, thereby creating a sort of accidental world tour to complement the book’s liquid attractions. Examples include Estancia La Figura in Argentina; the Bay of Fundy in Canada; Kairaku-en garden in Japan; Bongeun-sa Buddhist temple in South Korea; and the Cliffs of Moher in Ireland. All in all, you have a bonus compilation of world cultural sites to fill out this world guide to beer. 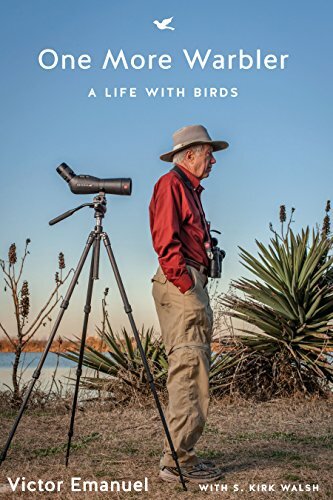 Bird-watchers who search for exotic species travel a lot—whether they are hiking through tropical forests in South America, trekking in the mountains in Bhutan, or arriving in Antarctica via Zodiac, all of which the subject of this memoir has done. One More Warbler is the story of one of America’s eminent birders, Victor Emanuel, the founder of the eco-tourism company, Victor Emanuel Nature Tours. Emanuel grew up in Houston and, early on, found himself interested in nature and wildlife, especially birds. A chance phone call when he was twenty-nine led to his first paying job as a guide on a birding tour. One More Warbler traces Emanuel’s life as a birder and an entrepreneur—and it simultaneously takes the reader on a nonstop trip around the world. While South Texas and the Gulf Coast figure prominently in Emanuel’s career, his life-list of countries places him among the elite of world travelers. 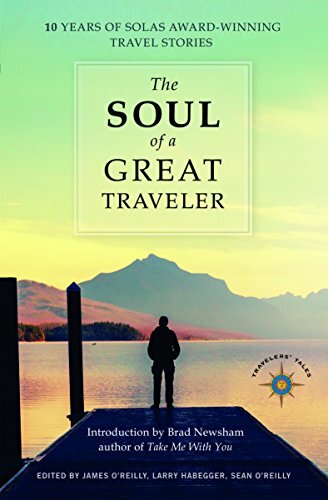 The book’s destinations include Mexico, Sweden, Peru, Panama, Arizona, Antarctica, India, Alaska, Istanbul, New York City. . ..
And, of course, the book is filled with birds and bird sightings. Some of the species Emanuel deals with are familiar to most of us: mockingbird, warbler, quail, red-tailed hawk. But his avian interests range far and wide: the Resplendent Quetzal, the Whiskered Auklet, the Rose-ringed Parakeet, the King Penguin, and the Red-crowned Crane. To spot these, you’ll need to book trips to Mexico, the Aleutians, India, Antarctica, and Japan, respectively. 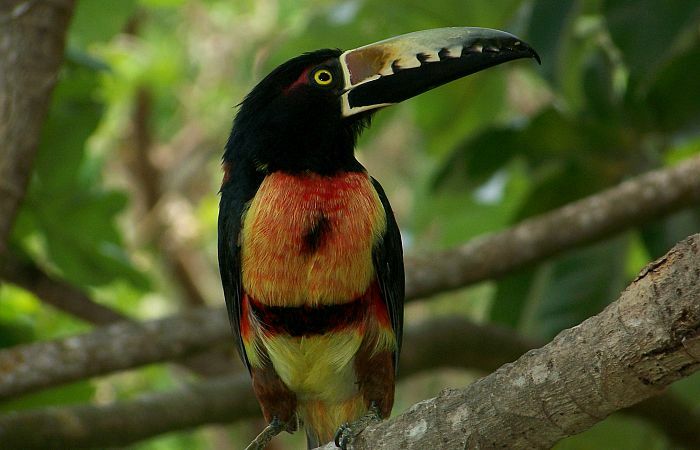 The birding expeditions Emanuel has organized over the years range from rough-hewn to luxurious. He has forded rivers, dodged thunderstorms, suffered illness, and camped in tents. At the other end of the scale, his company has, at times, chartered entire railroad trains and cruise ships for a privileged clientele. On some mornings, we could hear the plaintive call of the Resplendent Quetzal, which many people consider the most beautiful bird in the world. Among the Mayan and Aztec people, the Resplendent Quetzal was regarded as sacred. . . We were fortunate: More than once, a male quetzal flew across the valley, emitting its loud flight call of whaca, whaca, whaca. Its long iridescent green “tail” undulated behind its body like a flowing ribbon. . . .
Thirty writers—including three who have written for Perceptive Travel—contributed to this wide-ranging anthology, offering examples of nearly every type of travel writing genre, including memoir, travelogue, profile, family history, river journey, ocean cruise, and more. I could feel the squall’s power even before it reached us. The steady wind speed hit thirty knots and gusts struck with surprising force. The sea around Stops heaped up as the wind tore the foaming tops off waves in white streaks. On land, this wind would throw whole trees into motion. With thirty essays to choose from, a reader will have no trouble taking an armchair world tour. Places visited include Ecuador, Bangkok, Guyana, the Amazon, Germany, Spain, Amsterdam, Cameroon, Ireland, and on and on. Eventually, Kraus finds the site where her grandmother was buried; this in spite of the determined and nearly successful Nazi and Soviet attempts to suppress the Maly Trostinets crime from history. A deeply moving account, in a fine anthology. William Caverlee is a freelance writer who has been published in numerous magazines and literary journals, including The Oxford American, Cimarron Review, Flight Journal, The Florida Review, and Louisiana Cultural Vistas. His work appears in The Writer’s Presence: A Pool of Readings, and he's the author of Amid the Swirling Ghosts and Other Essays.